A key treatment for diabetic macular oedema (DMO) is ranibizumab (Lucentis®), which is approved at differing doses: 0.5 mg/month in Europe and 0.3 mg/month in the US. The relative efficacy and safety of these doses, however, is a controversial issue. A wide ranging literature search was conducted to examine the evidence supporting these doses. The searches identified only four studies that evaluated the 0.3 mg ranibizumab dose, in which best-corrected visual acuity (BCVA) improvements ranged from +5.7 to +12.8 letters during treatment. 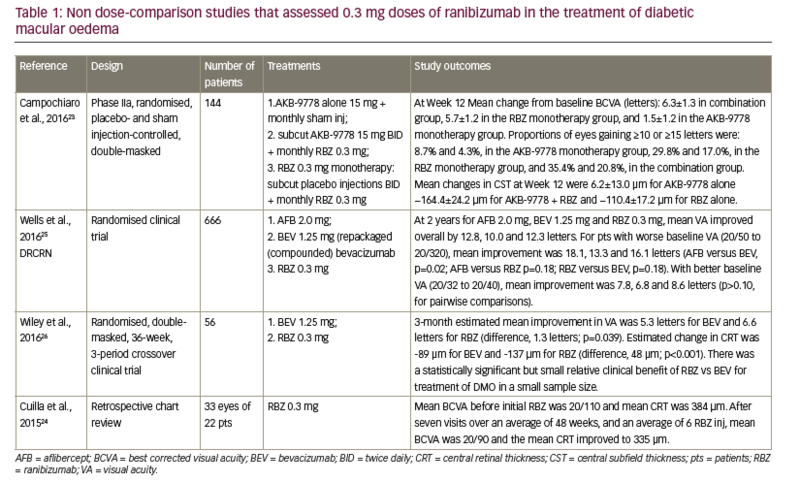 The searches also identified 12 key studies that evaluated the 0.5 mg dose of ranibizumab, in which BCVA improvement ranged from +6.1 to +10.3 letters. The pivotal RIDE and RISE studies (n=382 and 377) were the only direct comparisons of the 0.3 mg and 0.5 mg ranibizumab doses and placebo. A pooled analysis of these studies showed that improvements in BCVA were numerically higher for the 0.3 mg-treated groups than for the 0.5 mg-treated groups at 24 and 36 months. Patients who were initially treated with sham injections and switched to ranibizumab did not match the improvements in those treated from the start. There was also little difference in central retinal thickness reduction between the two doses (261.8 and 261.2 μm versus 266.7 and 269.1 μm). Ranibizumab was well tolerated, adverse events occurred at similar frequencies in all groups, with a slightly greater incidence of stroke for the 0.5 mg dose. Analysis of RIDE and RISE also showed that ranibizumab is cost-effective. Overall, the data indicate that the 0.3 mg dose of ranibizumab is generally as effective as the 0.5 mg dose in DMO treatment. Jean-Francois Korobelnik has been a consultant for Alcon, Alimera, Allergan, Bayer, Horus, Novartis, Roche, Théa and Zeiss. Compliance with Ethics Guidelines: This study involves a review of the literature and did not involve any studies with human or animal subjects performed by any of the authors. Diabetic macular oedema (DMO) is an increasingly serious healthcare issue and a leading cause of blindness worldwide.1 Of the estimated 415 million people with diabetes globally, 7–12% have signs of DMO and 1–3% have visual impairment as a result.2,3 This burden affects populations in all territories and is likely to increase substantially when the prevalence of diabetes burgeons to a predicted 642 million by 2040.2–4 The availability of effective and tolerable treatments for the management of DMO is therefore critical in tackling a potential epidemic of blindness and visual impairment. Several treatments are available for DMO, including laser photocoagulation, intravitreal corticosteroids and anti-vascular endothelial growth factor (VEGF) agents. Prominent among the anti-VEGF agents is ranibizumab (Lucentis®, Genentech, California, US), which has an extensive body of clinical trial data supporting its efficacy and tolerability in DMO, and on which its approval by the US Food and Drug Administration and the European medicines Agency for use in this indication is based.5–10 This monoclonal antibody (MAb) treatment has been used successfully as monotherapy and in combination with laser photocoagulation and with other treatments.11–19 Manufacturing biological therapies, including MAbs, is an expensive process and their generally high cost has the potential to restrict usage in many territories, especially where healthcare resources are limited.20–22 Reducing the dose of MAbs could lower this cost, provided that efficacy is not compromised markedly. Currently the licensed dose for ranibizumab in DMO in Europe is 0.5 mg/month as an intravitreal injection. In the US, however, the licensed dose is 0.3 mg/month due to concerns of cardiovascular risks in diabetic patients. This article reports the findings of literature searches of clinical studies that investigated the comparative efficacy and safety and cost-effectiveness of the 0.5 mg dose of ranibizumab in DMO compared with the lower 0.3 mg dose. These searches aimed to identify if there was superior efficacy in terms of visual acuity (VA) and central retinal thickness (CRT) or safety for either dose level in DMO treatment and whether the lower dose could be used as an alternative in many cases and thereby reduce costs. 28 studies included groups given only 0.5 mg ranibizumab and only two studies directly compared the 0.3 mg and 0.5 mg ranibizumab doses. The designs, patient dispositions and findings of these categories are summarised in Tables 1, 2 and 3 (only completed studies with >40 patients for the ranibizumab 0.5 mg dose are tabulated). The effect of different ranibizumab dosing regimens, the efficacy of ranibizumab compared with other treatments for DMO and in combination with other agents is outside the scope of this article. These studies had varying designs, study endpoints, patient populations and treatment durations, making direct comparisons difficult. However, a strong overall message that emerges from these studies is that 0.3 mg dose of ranibizumab is effective and has potential as a clinical treatment in DMO which was similar to or superior to that of some other treatments. treatment group received no laser treatment at all over 5 years. This suggested that prompt laser treatment was not advantageous over deferred treatment and that for many patients, ranibizumab 0.5 mg is effective as monotherapy. In the READ-3 study, patients with DMO were treated with either ranibizumab 0.5 mg or 2.0 mg. Improvements in BCVA were numerically lower with the higher dose (+9.43 versus +7.01 letters) but there was no statistically significant difference.29 The reduction in CRT was also lower with the higher dose. In the REEF study, patients with DMO were treated initially with ranibizumab 0.5 mg for three months and those with residual DMO were switched to ranibizumab 2.0 mg.36 VA had improved by +6.4 letters at month three and by +8.8 letters after month six. The study authors concluded that the 2.0 mg dose could provide additional benefit in some patients. The RESOLVE study included groups of patients with DMO who were initially randomized to ranibizumab 0.3 mg and 0.5 mg, and sham injections but after month one, dose-doubling was permitted.31 This meant that there was overlap in the doses received by the two active treatment groups. In the analysis, the results of these groups were therefore pooled and compared with sham treatment; a direct comparison of the 0.3 mg and 0.5 mg results was thus not possible. In all of these trials using the 0.5 mg dose, ranibizumab was considered safe and well tolerated. The occurrence and type of adverse events and serious adverse events were similar to patients receiving sham injections. Adverse events that were reported at low frequency (<3%) with ranibizumab over 12 months included conjunctival haemorrhage, eye pain, nasopharyngitis, hypertension, arterial thromboembolic events such as myocardial infarction. Serious ocular adverse events were reported in 1.8% of patients and included vitreous haemorrhage, retinal ischaemia, retinal artery occlusion and endophthalmitis.27 As with the 0.3 mg ranibizumab dose studies, the designs, treatment durations and endpoints were variable in the 0.5 mg dose studies but they showed consistent efficacy and tolerability in differing patient groups and locations. Overall, the study results for 0.3 mg or 0.5 mg intravitreal ranibizumab show similar efficacy for both doses. Only two large-scale studies have directly compared the ranibizumab 0.3 mg and 0.5 mg doses in DMO.27,28,37 These were the Phase III RIDE and RISE studies that were run from 2007–2012 and involved 759 adults with DMO having BCVA 20/40 – 20/320 and CRT ≥275 μm. (see Table 3). The study designs were identical; participants were randomised 1:1:1 to monthly ranibizumab 0.3 mg or 0.5 mg or sham injections for 24 months. After that, the remaining patients could opt to enter the open-label extension in which sham-treated patients could switch to 0.5 mg ranibizumab. After 36 months, all patients were switched to pro re nata (PRN)-based treatment for a maximum of 2 years. 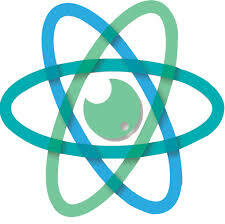 negative impact that cannot be fully reversed. During months 36 to 54, PRN-based treatment generally maintained the improvements VA seen at Month 36 in all three groups. crossover groups, respectively) and increased intraocular pressure (17.6%, 16.4% and 6.8%, respectively) occurred with similar frequency at both doses. Serious ocular adverse events were generally more frequent with ranibizumab 0.5 mg than 0.3 mg including angle-closure glaucoma (0%, 0.4% and 0.4%), endophthalmitis (0.8%, 0.8% and 0%), cataract (0.45 and 0.8% and 0%) and vitreous haemorrhage (0%, 0.8% and 2.8%). This pattern was continued during months 24–36 and during the subsequent PRN-based treatment phase. Arterial thrombotic events occurred at similar rates in the two ranibizumab groups, which were higher than the sham/crossovertreated group (10.8%, 10.4% and 7.2% for ranibizumab 0.3 mg, 0.5 mg and sham/crossover groups, respectively). Among these, myocardial infarction and stroke were slightly more frequent during ranibizumab treatment. Stroke was also more common with the 0.5 mg than the 0.3 mg dose (4.8% versus 2.0%). Overall, the safety and tolerability profiles of both ranibizumab doses were similar in the RIDE and RISE studies and did not differ markedly from that of single-dose studies summarised in the previous sections. A few studies have reported positive cost-effectiveness findings for the ranibizumab 0.3 mg or 0.5 mg doses. One example is a 14-year cost-utility analysis using data from the RIDE and RISE studies.38 This study found that the 14-year incremental patient value gain for the 0.3 mg ranibizumab dose in DMO was 0.9981 quality-adjusted life year (QUALY). The direct cost for ranibizumab in one eye was determined to be US$30,116 and for two eyes was US$56,336. Savings from decreased depression, injury, skilled nursing facility admissions, nursing home admissions, and other vision-associated costs were estimated to be US$51,758, leaving an overall cost of US$4578. It was concluded that ranibizumab 0.3 mg confers considerable patient (human) value gain and accrues value to patients, public, insurers and society. A study in the UK, using findings from the RESTORE study, estimated that lifetime costs per patient in DMO treatment were £20,019 for ranibizumab 0.5 mg PRN, £22,930 for ranibizumab 0.5 mg treat and extend, based on 3-year treatment timeframe. 39 From these findings, ranibizumab 0.5 mg was considered costeffective and compared favourably with other DMO therapies. Looking at the data from trials that used only one dose of ranibizumab, it is apparent that the ranges of VA improvement in terms of increased BCVA letters and proportions of patients with increased letter scores produced by the 0.3 mg and 0.5 mg doses overlapped so that their efficacy appears substantially similar. The range of decreases in CRT also overlapped but clearly greater reductions were seen with the 0.5 mg dose (see Figure 3). The studies that are discussed above varied in design, endpoints, treatment durations and study populations so it is difficult to draw consistent and reliable conclusions that can be compared. Nevertheless, across a wide range of these studies the efficacy of the two doses appears similar. Safety findings indicate good tolerability with ocular adverse events generally occurring at similar frequencies with ranibizumab to those of sham injections. Cost-effectiveness studies indicate that both ranibizumab doses improve quality of life and were considered by investigators to provide value when the cost of other treatments, welfare and the high financial impact of vision impairment to the patient are taken into account. However, the high cost of this treatment is still likely to limit or even prevent its use in many territories and in patients with inadequate healthcare insurance. Since the ranibizumab 0.3 mg dose appears to be equivalent to the 0.5 mg dose in terms of efficacy and has potential safety benefits, using the lower dose could be appropriate for many patients in Europe and elsewhere to reduce costs. This would make the treatment more accessible to a wider patient population with DMO. 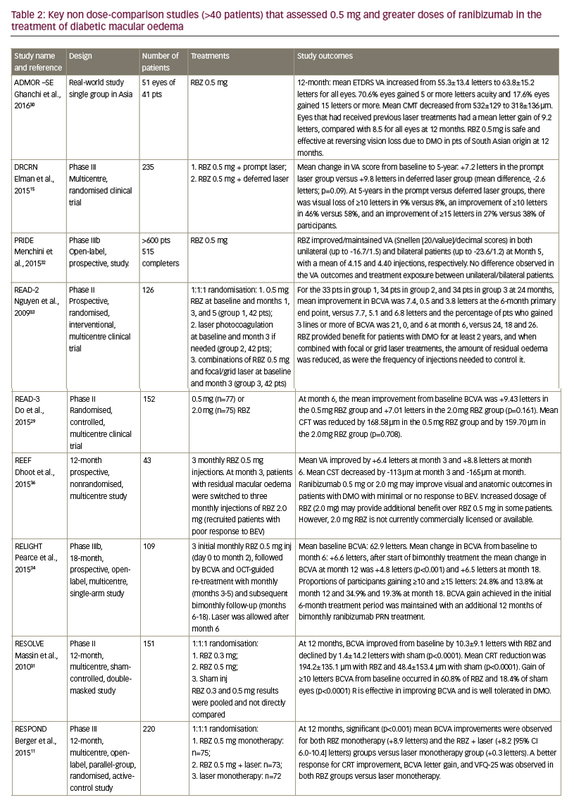 The 0.5 mg and higher ranibizumab doses could then be reserved for some patients including more severe or refractory cases as was suggested by the authors of the REEF study (see Table 2).36 The ever-increasing prevalence of DMO is likely to drive demand for effective but lower-cost treatments that can stem a rising burden of vision loss worldwide. Using the lower 0.3 mg dose of ranibizumab across all territories could help satisfy this need. 1. Ding J, Wong TY, Current epidemiology of diabetic retinopathy and diabetic macular edema, Curr Diab Rep, 2012;12:346–54. 2. International Diabetes Federation, IDF Diabetes Atlas, 7th edition. Available at: www.diabetesatlas.org/ (accessed 4 July 2016). 3. Chen E, Looman M, Laouri M, et al., Burden of illness of diabetic macular edema: literature review, Curr Med Res Opin, 2010;26:1587–97. 4. Sabanayagam C, Yip W, Ting DS, et al., Ten Emerging Trends in the Epidemiology of Diabetic Retinopathy, Ophthalmic Epidemiol, 2016;1–14. 5. Dedania VS, Bakri SJ, Current perspectives on ranibizumab, Clin Ophthalmol, 2015;9:533–42. 6. Fong AH, Lai TY, Long-term effectiveness of ranibizumab for age-related macular degeneration and diabetic macular edema, Clin Interv Aging, 2013;8:467–83. 7. Frampton JE, Ranibizumab: in diabetic macular oedema, Drugs, 2012;72:509–23. 8. 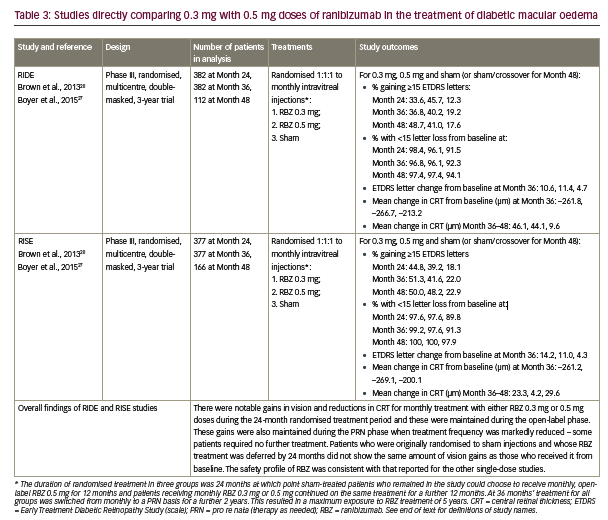 Krispel C, Rodrigues M, Xin X, et al., Ranibizumab in diabetic macular edema, World J Diabetes, 2013;4:310–8. 9. Wang H, Sun X, Liu K, et al., Intravitreal ranibizumab (lucentis) for the treatment of diabetic macular edema: a systematic review and meta-analysis of randomized clinical control trials, Curr Eye Res, 2012;37:661–70. 10. Yanagida Y, Ueta T, Systemic safety of ranibizumab for diabetic macular edema: meta-analysis of randomized trials, Retina, 2014;34:629–35. 11. Berger A, Sheidow T, Cruess AF, et al., Efficacy/safety of ranibizumab monotherapy or with laser versus laser monotherapy in DME, Canadian journal of ophthalmology, Can J Ophthalmol, 2015;50:209–16. 12. Bressler SB, Glassman AR, Almukhtar T, et al., Five-Year Outcomes of Ranibizumab With Prompt or Deferred Laser Versus Laser or Triamcinolone Plus Deferred Ranibizumab for Diabetic Macular Edema, Am J Ophthalmol, 2016;164:57–68. 13. Chong V, Mitchell P, Baseline predictors of 3-year responses to ranibizumab and laser photocoagulation therapy in patients with visual impairment due to diabetic macular edema (DME), Eur J Ophthalmol, 2013;23:453–4. 14. Elman MJ, Aiello LP, Beck RW, et al., Randomized trial evaluating ranibizumab plus prompt or deferred laser or triamcinolone plus prompt laser for diabetic macular edema, Ophthalmology, 2010;117:1064–77.e35. 15. 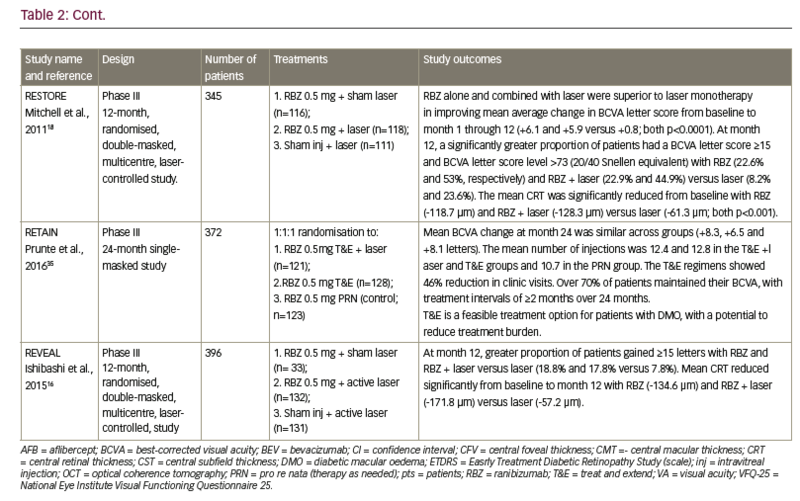 Elman MJ, Ayala A, Bressler NM, et al., Intravitreal Ranibizumab for diabetic macular edema with prompt versus deferred laser treatment: 5-year randomized trial results, Ophthalmology, 2015;122:375–81. 16. Ishibashi T, Li X, Koh A, et al., The REVEAL Study: Ranibizumab Monotherapy or Combined with Laser versus Laser Monotherapy in Asian Patients with Diabetic Macular Edema, Ophthalmology, 2015;122:1402–15. 17. López-Gálvez MI, Arias L, Roura M, Efficacy and safety profile of ranibizumab versus laser photocoagulation in patients with diabetic macular edema. 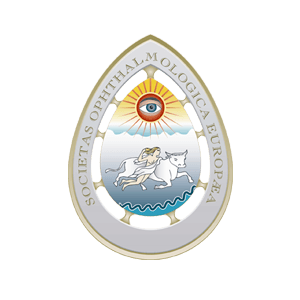 Re-Des Study, Ophthalmologica, 2014;232:15. 18. Mitchell P, Bandello F, Schmidt-Erfurth U, et al., The RESTORE study: ranibizumab monotherapy or combined with laser versus laser monotherapy for diabetic macular edema, Ophthalmology, 2011;118:615–25. 19. Régnier S, Malcolm W, Allen F, et al., Efficacy of anti-VEGF and laser photocoagulation in the treatment of visual impairment due to diabetic macular edema: a systematic review and network meta-analysis, PloS one, 2014;9:e102309. 20. Hutton D, Newman-Casey PA, Tavag M, et al., Switching to less expensive blindness drug could save medicare part B $18 billion over a ten-year period, Health Aff (Millwood), 2014;33:931–9. 21. Pershing S, Enns EA, Matesic B, et al., Cost-effectiveness of treatment of diabetic macular edema, Ann Intern Med, 2014;160:18–29. 22. Shaughnessy AF, Monoclonal antibodies: magic bullets with a hefty price tag, BMJ, 2012;345:e8346. 24. Ciulla TA, Hussain RM, Ciulla LM, et al., Ranibizumab for diabetic macular edema refractory to multiple prior treatments, Retina, 2016;36:1292-7. 25. Wells JA, Glassman AR, Ayala AR, et al., Aflibercept, Bevacizumab, or Ranibizumab for Diabetic Macular Edema: Two-Year Results from a Comparative Effectiveness Randomized Clinical Trial, Ophthalmology, 2016;123:1351–9. 26. Wiley HE, Thompson DJ, Bailey C, et al., A Crossover Design for Comparative Efficacy: A 36-Week Randomized Trial of Bevacizumab and Ranibizumab for Diabetic Macular Edema, Ophthalmology, 2016;123:841–9. 27. 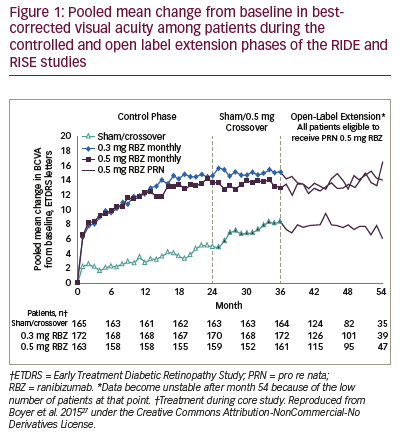 Boyer DS, Nguyen QD, Brown DM, et al., Outcomes with As- Needed Ranibizumab after Initial Monthly Therapy: Long-Term Outcomes of the Phase III RIDE and RISE Trials, Ophthalmology, 2015;122:2504–13.e1. 28. 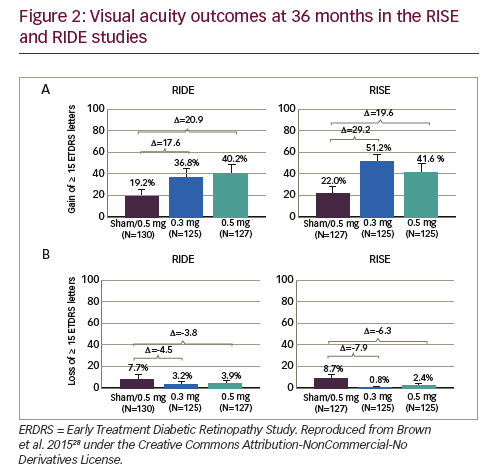 Brown DM, Nguyen QD, Marcus DM, et al., Long-term outcomes of ranibizumab therapy for diabetic macular edema: the 36-month results from two phase III trials: RISE and RIDE, Ophthalmology, 2013;120:2013–22. 29. Do DV, Sepah YJ, Boyer D, et al., Month-6 primary outcomes of the READ-3 study (Ranibizumab for Edema of the mAcula in Diabetes-Protocol 3 with high dose), Eye (Lond), 2015;29:1538– 44. 30. Ghanchi F, Hazel CA, South Asian diabetic macular oedema treated with ranibizumab (ADMOR)-real-life experience, Eye (Lond),2016;30:133–8. 31. Massin P, Bandello F, Garweg JG, et al., Safety and efficacy of ranibizumab in diabetic macular edema (RESOLVE Study): a 12-month, randomized, controlled, double-masked, multicenter phase II study, Diabetes Care, 2010;33:2399–405. 32. Menchini U, Bandello F, De Angelis V, et al., Ranibizumab for Visual Impairment due to Diabetic Macular Edema: Real-World Evidence in the Italian Population (PRIDE Study), J Ophthal, 2015;2015:324841. 33. Nguyen QD, Shah SM, Heier JS, et al., Primary End Point (Six Months) Results of the Ranibizumab for Edema of the mAcula in diabetes (READ-2) study, Ophthalmology, 2009;116:2175–81.e1. 34. Pearce I, Banerjee S, Burton BJL, et al., Ranibizumab 0.5 mg for Diabetic Macular Edema with Bimonthly Monitoring after a Phase of Initial Treatment: 18-Month, Multicenter, Phase IIIB RELIGHT Study, Ophthalmology, 2015;122:1811–9. 35. Prünte C, Fajnkuchen F, Mahmood S, et al., Ranibizumab 0.5 mg treat-and-extend regimen for diabetic macular oedema: the RETAIN study, Br J Ophthalmol, 2016;100:787–95. 36. Dhoot DS, Pieramici DJ, Nasir M, et al., Residual edema evaluation with ranibizumab 0.5 mg and 2.0 mg formulations for diabetic macular edema (REEF study), Eye (Lond), 2015;29:534–41. 37. Bressler NM, Varma R, Suner IJ, et al., Vision-Related Function after Ranibizumab Treatment for Diabetic Macular Edema, Ophthalmology, 2014;121:2461–72. 38. Brown GC, Brown MM, Turpcu A, et al., The Cost-Effectiveness of Ranibizumab for the Treatment of Diabetic Macular Edema, Ophthalmology, 2015;122:1416–25. 39. 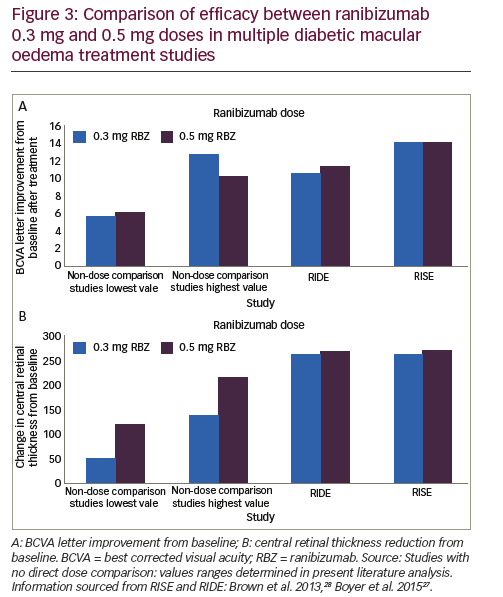 Régnier SA, Malcolm W, Haig J, et al., Cost-effectiveness of ranibizumab versus aflibercept in the treatment of visual impairment due to diabetic macular edema: a UK healthcare perspective, CEOR, 2015;7:235–47. 40. Zhang X, Saaddine JB, Chou CF, et al., Prevalence of diabetic retinopathy in the United States, 2005-2008, JAMA, 2010;304:649–56. 41. Hernandez C, Candell-Riera J, Ciudin A, et al., Prevalence and risk factors accounting for true silent myocardial ischemia: a pilot case-control study comparing type 2 diabetic with nondiabetic control subjects, Cardiovasc Diabetol, 2011;10:9.